But the Twitter survey, with 451 respondents, showed the industry was far from united on the best way forward. 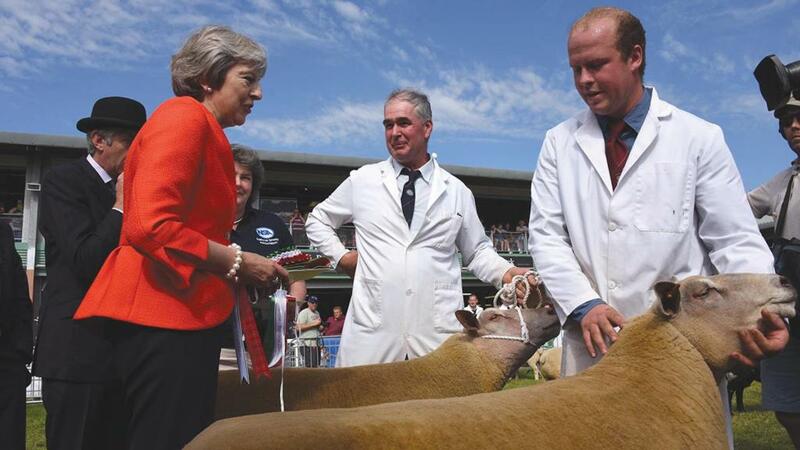 Cumbrian livestock farmer Will Case and Dorset cattle farmer Sam Vincent both warned there was too much political uncertainty and MPs should vote for the deal. North Somerset mixed farmer Olly Matthews echoed the concerns about a lack of clarity, but came to a different conclusion. He said: “To be honest, I am not bothered if it is deal/no deal. I feel the worst case scenario is a one-two year extension. Ayrshire organic dairy farmer Robert Drummond felt revoking Article 50 and remaining a member of the EU was the best option, but Harry Mouland, who farms in Kent, said the only way forward now is no deal, claiming the Prime Minister’s agreement was ‘not Brexit’. The poll results came as the NFU warned the Government’s no-deal tariff schedule would open up the domestic market to imported food which would be illegal to produce in the UK. Although the Prime Minister has confirmed her intention to seek a short extension to the Article 50 process, there is a possibility this could result in a no-deal exit at the end of June instead of March. 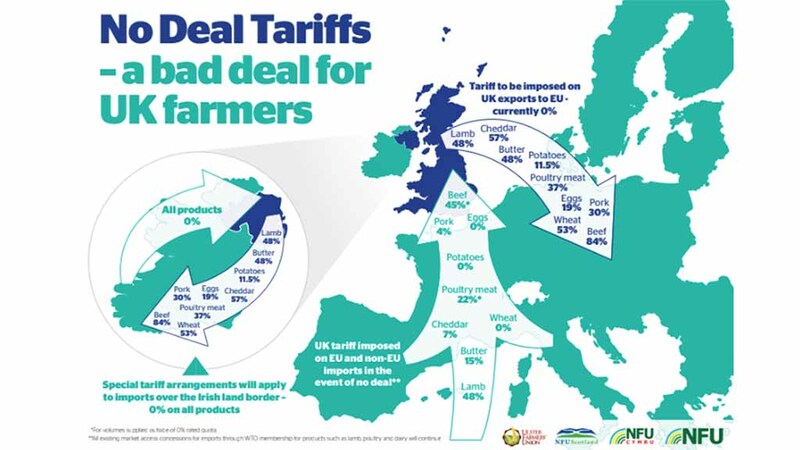 NFU president Minette Batters said: “While we acknowledge the tariff policy announced earlier this month is intended to be temporary, we have very significant concerns about the damage it would cause to farmers across the country. “Under the policy, even those sectors which are treated sensitively by our Government will, in most instances, see worrying and large reductions in the tariff rates currently charged on non-EU imports. The FUW has also pointed out the UK’s plan not to apply tariffs to goods crossing from Ireland into Northern Ireland would break World Trade Organisation (WTO) rules. The union’s head of policy, Nick Fenwick, said: “If the Government said it was going to apply tariffs to all imports except those entering the UK from Germany, without any form of trade deal in place, this would clearly be a breach of WTO rules. “It would also go against the rules of the EU because Germany is in the single market.